Voodoo Lab 2.1mm Straight To Right-Angle 24 Inch Cable. 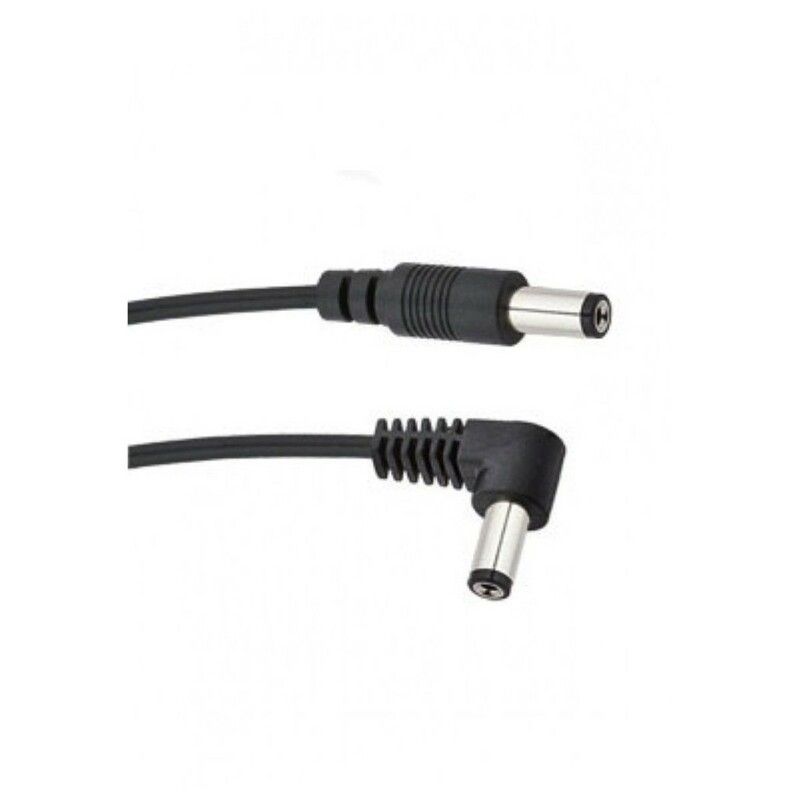 This is widely used cable with a straight barrel connector on one side and a right angled barrel connector on the other with standard (center positive) cable polarity. It is designed for many types of pedals including Boss, MXR/Dunlop, TC Electronic Nova, Line 6, ToneCore,Ibanez and others. It has a length of 24 inches/60.9 cm and 2.1mm plugs. You can plug either of the connectors into the pedal. This cable type is essential to power your devices, for a very cheap price.